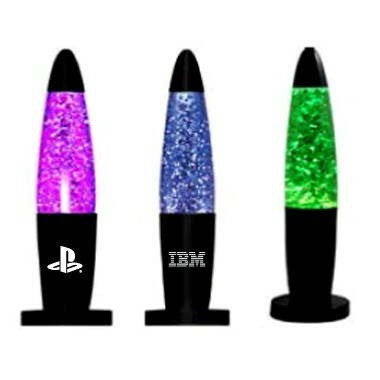 Description: 13" Bullet Shape Sparkle Lamp (Black w/Color Glitter). A cascade of shimmering glitter circulates through lime Green, Purple or Blue Liquid. Creates an unforgettable effect which will leave you mesmerized. Casing comes in Black.. Color of Liquid may vary from shipment to shipment. Color Available: All Aluminum Base (Black Color Coated). Purple, Blue, or Green Liquid. Measurement: H 13" x W 4" x D 4"